The RED Hydrogen One was possibly the most disappointing smartphone of 2018. There was a great deal of hype around the devices, as it was being created by one of the world's top camera companies. Instead of a phone with an amazing camera, like most people expected, we got a very expensive phone with a mediocre camera and a strange 3D screen gimmick. Now it seems one of the phone's selling points might never show up. Like Motorola's Moto Z devices, the Hydrogen One has a data connector on the back for attaching accessories. RED said it would create battery pack and storage attachments, along with "a cinema grade camera module". 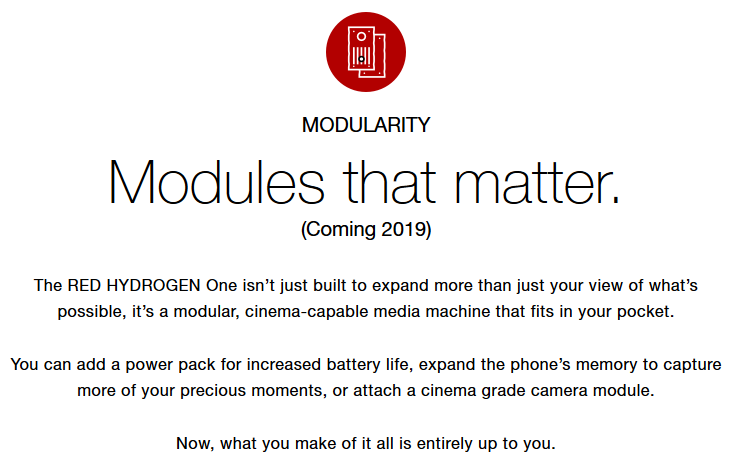 As pointed out by Reddit user ReipasTietokonePoju, all references to the phone's modules have been removed from the Hydrogen One website. The original page can be seen from the Internet Archive. Assuming this was an intentional removal (we've reached out to RED to confirm), it wouldn't be unexpected. 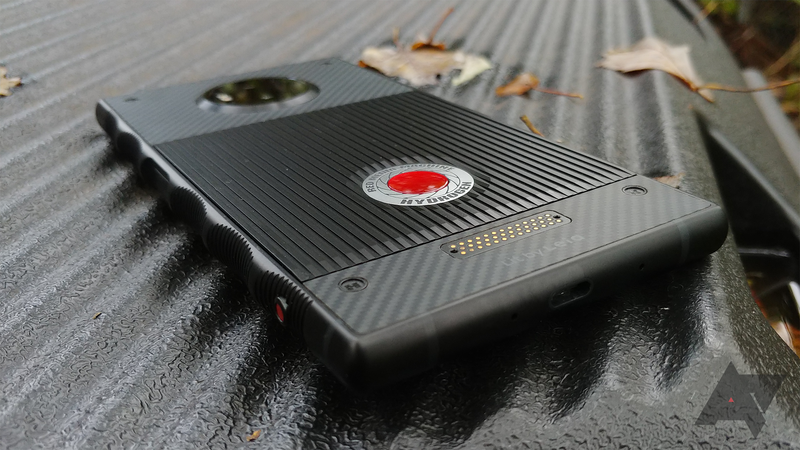 The Hydrogen One received mixed reviews on launch, and while official sales numbers aren't available, it's probably safe to say the phone hasn't sold in large quantities. It also hasn't received Android 9 Pie yet. No matter how unsuccessful a product is, promising an improvement that ends up being canceled is never acceptable. But unlike Motorola, perhaps RED knows when to quit on modular devices. Jim Jannard, founder of RED, has published a response on the Hydrogen user forum. It doesn't really contain any useful information, only that "the HYDROGEN team is fully engaged on the new in-device image capture system." Some have noticed that we have taken down the images of the 2D module from our website. The reason for that is because we are currently in the middle of radically changing the HYDROGEN program. As I have said before, everything can and will change. A series of obstacles and then new discoveries have given us the opportunity to significantly improve the entire program, not only for HYDROGEN but also for RED. The changes create new opportunities to better satisfy the professional image capture customers as well as the casual consumer for the HYDROGEN program. The RED team, led by Jarred Land, as of now will now be fully in charge of the professional image capture program for HYDROGEN and the HYDROGEN team is fully engaged on the new in-device image capture system. Both are major advancements to what was previously posted. As a side note… all HYDROGEN customers will be “obsolescence obsolete” when buying into the new professional image capture program.